Brit Paul West escapes his homeland to take a job in Paris marketing English tearooms to the French. Over a year's cycle he discovers that the French way of doing business thrives on maneuvering nimbly through a minefield of unique, demanding personalities. An inveterate womanizer, he finds plenty of skirts to chase and conquer. After a comic search for an apartment, he settles in the city's trendy Marais district. Urban stress in general, combined with a need to escape the upstairs family whose every move reverberates to distraction, forces West to escape to a Norman getaway featuring all the bucolic charms and a cast of neighbors and townspeople to rival Peter Mayle's Provencal rustics. West disdains French food for its love of organ meats and its fascination with revoltingly smelly cheeses. Francophobes will find much here to reinforce their prejudices; more balanced observers will find Clarke's caricatures of the French simply very funny reading. I bought this book because the title amused me so much and I couldn’t believe I was finding a book like this in Paris. Overall, it was quite funny, and I was not disappointed. Since I’m studying in Paris this semester, I really related to a lot of the problems Paul faced in Paris, particularly early on—the dog poop all over the sidewalks (it’s really everywhere), making sure to say hello or goodbye correctly (bonjour/bonsoir/bon journee/bon soiree…), the metro system, et cetera. But Paul did also clearly get a lot of things wrong, so if you do read this, take everything with a grain of salt—he has a pretty skewed perspective. A lot of this novel is also very over-the-top. No, the French do not go on strike every single month. In fact, the only significant strike I’ve experienced this semester was a transit strike in Rome, not Paris. But the descriptions of how foreigners view Parisians are quite accurate (as in, I know there are a lot of visitors who feel this way about Parisians), regardless of whether these stereotypes are true, so if you have a negative opinion about Parisians, this will certainly uphold it. However, Paul’s experiences with finding housing in Paris are pretty accurate, though his ultimate subversion of the system is probably more infrequent than he makes it seem. I did love how Paul felt the need to go buy a house in the countryside after just a few months; although this seems excessive, I can attest to the fact that after a few months in this city—which has very few grassy areas, unless you happen to live right near a park—some time out in the countryside sounds fantastic (there’s a reason I hung out with sheep in Ireland for half of my spring break). However, Paul can be fairly arrogant and ignorant, and I think a lot of readers would find him pretty annoying. Honestly, probably part of the reason I didn’t mind is because I read this over spring break, when I was off discovering how much more I prefer the rest of Europe to Paris. So if you’re looking for a quick, entertaining read, pick this up (particularly if you’ve visited Paris), but if you’re looking to actually improve your knowledge of the French/Parisians, you should probably avoid it. Ah, studying in Paris! I'm so jealous. Have a great time! This guy sounds like he's trying to do something similar to Bill Bryson... another travel memoirist who I find a little grating. That's funny, I came across this book in a shop when I was visiting Paris too. I'd heard of it before and flipped through it but, I agree, there's not really much to it. I think it's supposed to be more entertaining than anything else. Went to Paris for the first time in April and loved it.. What a great experience you have to study there! this book made me laugh so hard ... 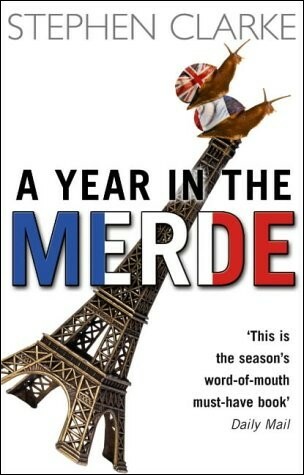 I've been reading this after I spent a year as exchange student in Lille. I made the same experience, especially with the dog poop on the streets.